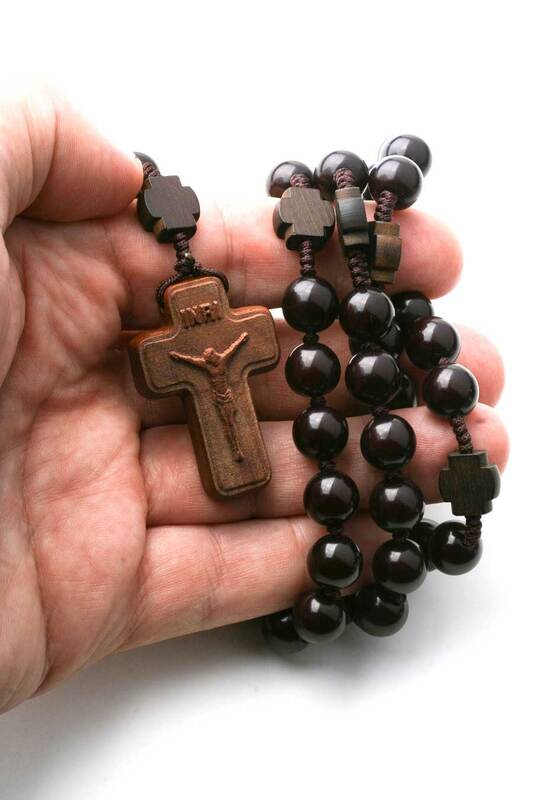 Large 10mm Round Jujube Wood Beads Rosary on Sturdy Cord. 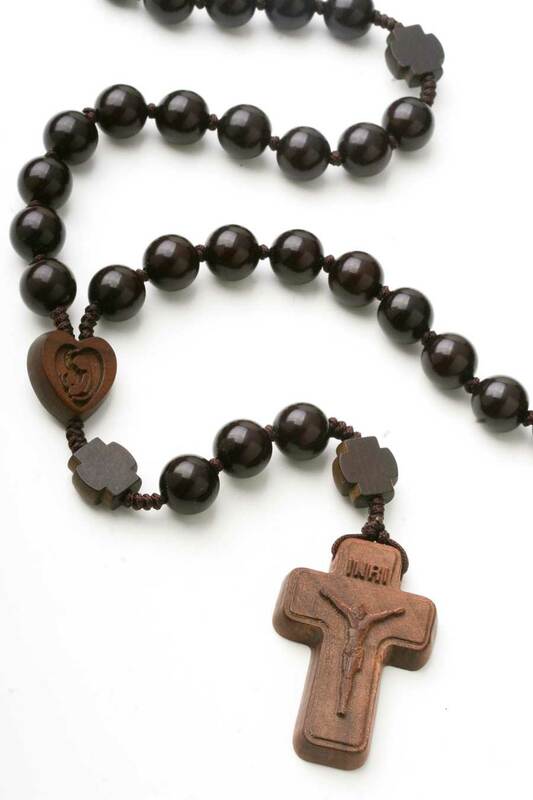 Beads are polished and perfectly round. 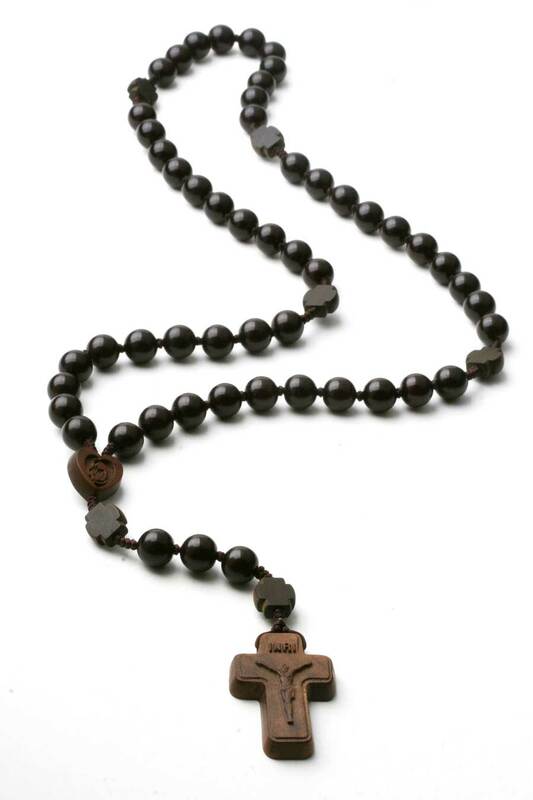 Maltese cross pater beads split each decade. 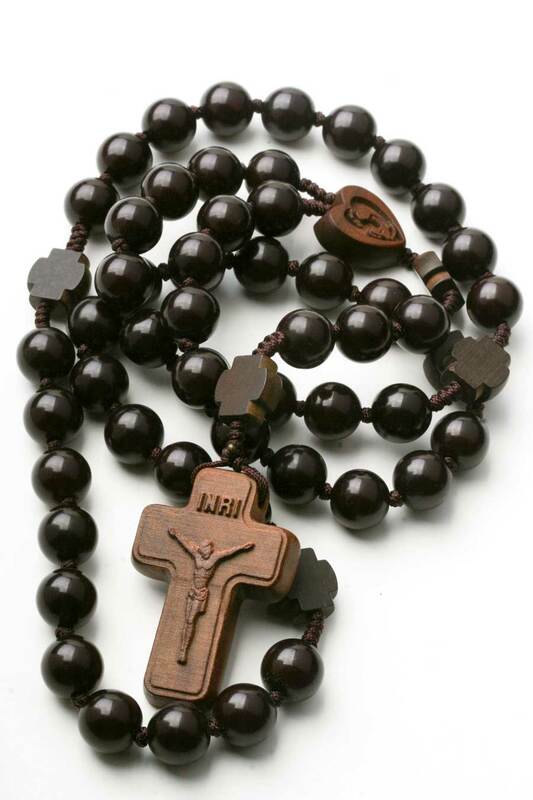 The wooden crucifix is 1 3/4" in length with laser etched figure of Jesus. 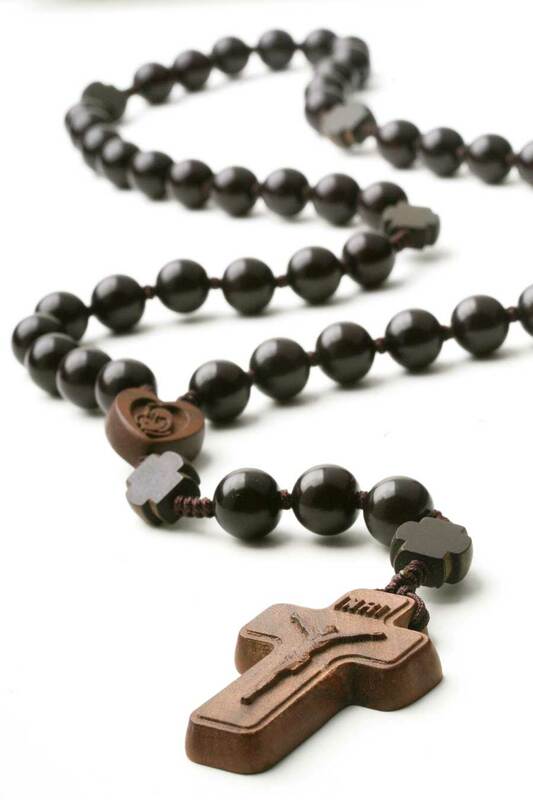 This is a great quality rosary that will last a long time. The heart shape center features laser etched Mary with Child scene.